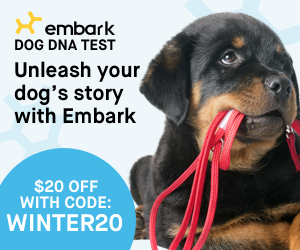 We recently attended a huge tradeshow for the pet industry and had the opportunity to see thousands (tens of thousands) of new products that are coming out on the market. One of the few new products that really caught our attention was the NoBowl Feeding System™ for Cats. This is the world’s first indoor hunting system for cats! As you know, cats are first and foremost, hunters. They have a psychological need to hunt because – well, that’s what predators do. So, when their humans lock them indoors with nothing to do all day but sleep, they go a little stir-crazy. To keep your cat balanced, healthy and happy, they need to have a way of satisfying their hunting drive. Hunting is one small part of what cognitive psychologists refer to as “The Seeking Circuit.” In the seeking circuit, the brain releases dopamine, which heightens their arousal and creates a great feeling of anticipation. In short, it’s what drives us to do any specific action – it may be jogging, it may be cleaning the house, it may be writing a book. For cats, it’s hunting. Cats (and other predators) need to engage in the “seeking circuit” many times a day to be mentally and physically healthy. This often leads to binge eating their food (which is not satisfying to cats). Since a cat’s stomach is only the size of a ping-pong ball, it can inflate and hold a lot of food. Binge eating is not only bad for the stomach, which feels empty if it’s not stretched, it’s also bad because the cat consumes far too many calories resulting in weight gain. The NoBowl Feeding System fits this need perfectly and best of all, it’s simple to use. Just divide your cat’s normal day portion of dry food to each of the mice, hide the mice, and go about your day. It’s really that easy and you’re not going to believe how fast they pick up on this concept (and how much happier they are once they can hunt their meals). 1 NoBowl Portion Filler™ which will holds 1.6 tablespoons (1/5th the daily ration of an average 10lb cat). We discovered our most recent foster, who is very “prey-driven”, found the bowls way too easily. There was little to no adjustment and we didn’t need to do anything other than give her one mouse and hide the others in plain view on the first day. By the end of the week, she had learned there were exactly five mice with meals and was counting the number of mice she found – placing them all in a small pile each morning and night. Now, she discovers them as fast as we can hide them, so we’ve had to become more devious. We’ve placed mice under the bed, in between pillows, in the closet, in a shoe, in a closed drawer and high on top of a window. She found each of them every time and we have yet to stump her. Hunting and stalking are basic predatory instincts. All you need to do to make this system work is add a food source. 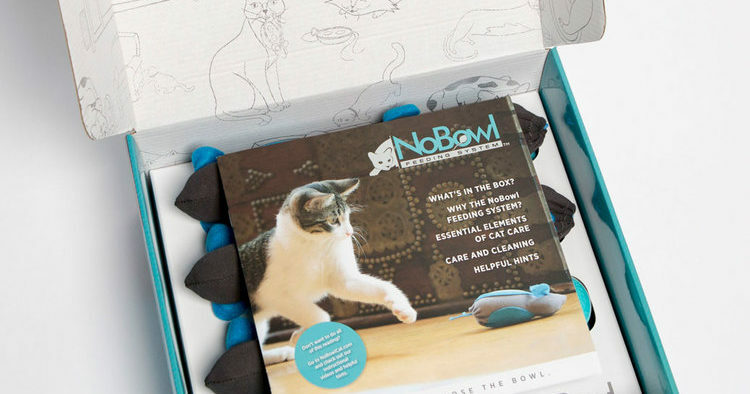 The NoBowl system is designed for dry food, but if you feed raw, you can use this system for snacks (bonito flakes, dehydrated salmon, liver treats and just about all other manner of treats fit perfectly). Measure out your cat’s meal, then divide into 5 portions and add each to individual mice using the handy scoop. Hide the mice in the early morning then turn your cat loose and let them go find the treats. Repeat with the second meal (and you can even do this throughout the day with the occasional treats). If your cat can empty the NoBowl Trainer, continue to refill it 2-3 more times over the course of the day. Any remaining food can be put in the NoBowl Trainer or the bowl. Be careful that you’re not feeding your cat too much. It doesn’t look like much when you’re measuring their rations into tiny mice, but the goal is to give your cat the opportunity to hunt their meal, eat a few bites, then groom, sleep and repeat throughout the day. If your cat is like my cat, you’ll find that they prefer to find all of the mice, then eat later. This works with all types of dry kibble and treats, so any cat can enjoy! We strongly recommend this type of feeding system for your cats. Remember you’ll have a bit of a learning curve as you introduce this system to your cats, but the results are well-worth the time! Order directly on their site at http://nobowlcat.com/.